those feathered friends to your backyard? your yard is easy once you know the secrets. you can turn your backyard into a bird haven by providing some basic necessities. If you have any vegetation in your backyard, you will most likely witness birds feeding at some point. During the migration period in the spring, birds tend to forage for insects, but you can supply more variety as the warm season approaches. To coax an assortment of chirpers to your yard, offer various types of food including fruits, suet, seeds and nuts. Fruit feeders such as robins, orioles, mockingbirds, bluebirds and catbirds will look for the exposed meat of the fruits. Spear apple halves, grapes, pomegranates and orange halves on branches, or place dried fruits such as figs, raisins, cherries and cranberries in feeding bowls. Keep fruits away from any seed bowls you may use, because fruit eaters tend to be timid and may avoid the other species. You can use a specialized suet feeder to attract woodpeckers, wrens, nuthatches, chickadees, thrushes and blackbirds. Many other species may attempt to dine on suet, so it is a great staple to have in your yard. Black oil sunflower seeds are also ideal for enticing a large variety of species. If you provide an assortment of seeds in your feeders, you are sure to attract numerous winged guests such as finches, cardinals, grosbeaks and titmice. By supplying plenty of water, you can significantly increase the amount of birds visiting your backyard. Birds need water to stay clean and hydrated. While a traditional bird bath may provide water for your regular visitors, it may not attract newcomers. Instead of filling a birdbath with motionless water, offer your feathered guests dripping, splashing, moving, sprinkling refreshments. Provide water for your flying friends by adding a wiggling, dripping or misting accessory to a birdbath. You can also offer water in a bubbling pond. Waterfalls are ideal for using movement to attract birds as well. You can even place a hose in a pond and let the water trickle over rocks or bubble up from the bottom. Any agitation in the water will capture a bird’s attention from overhead. Different types of birds build nests in different areas. 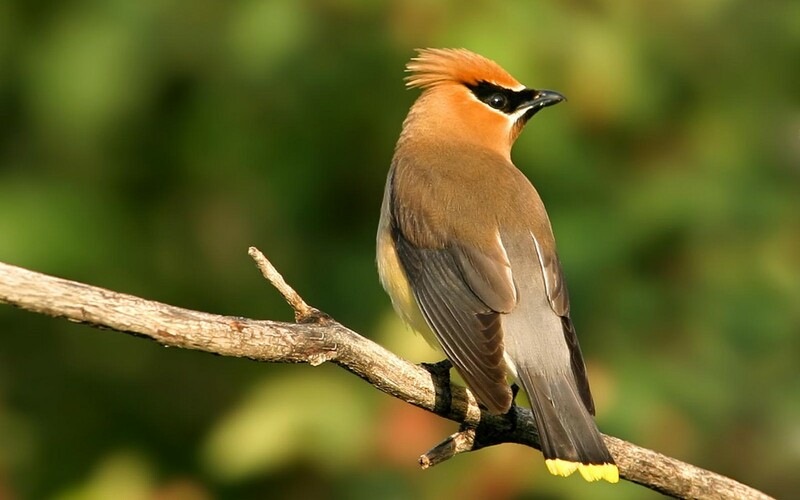 To attract a diverse collection of birds to your yard, provide various nesting sites. Most birds will search for natural nesting locations, but you can also construct homemade sites. Creating manmade nesting spots allows you to select where the birds will gather. Pay attention to your regular visitors to determine where their favorite locations are. When creating the ideal nesting habitat for birds, it’s important to design a landscape that provides varying levels of shelter. Some birds prefer to nest close to the ground, while others search for medium-level shrubs or taller trees. For the best results, offer native trees, grasses, shrubs and flowers for the birds to eat, nest and roost in. To keep your twittering friends safe, you need to provide adequate shelter and protection from predators and other dangers. For smaller species, create dense areas of plant growth around the edges of your house and in the corners of your yard. Larger birds will want to perch in tall branches where they can search for predators. Reduce the amount of open spaces in your yard, and place all shelters close to feeders for easy access. You can also protect birds by installing netting in front of windows or using decals to break up the smooth surface of the glass. This will prevent birds from flying into the windows or doors. Chemicals are hazardous to birds as well, so limit the amount of chemical fertilizers and pesticides you use. You can lay artificial grass to reduce the amount of fertilizer you use, and you can attract insect predators in place of using pesticides. To continue bringing an assortment of birds to your yard each year, create a landscape that is similar to their natural habitat. The amount of bird activity in your yard will increase as you make the area more alluring. Let grass grow in certain spots, avoid cleaning up fallen leaves, and build branch piles around your yard. Install It Direct can assist you with transforming your yard into an appealing bird sanctuary. Sign up for a free estimate today, or join our mailing list for more helpful tips. Outdoor Fire Pit vs Fireplace: Which One Should I Install?